Well, since no-one else is jumping in, looking at my Netflix ratings, I gave the "Live from Lincoln Center" semi-concert version (Paul Groves, Kristen Chenowith, Patt LuPone, Thomas Allen, Marin Alsop conducting) 5 stars. 3 stars to a version from the Teatro Argentina, conducted by John DeMain. It's been years since I saw either, so I can't explain my ratings. The overall Netflix ratings for them are 3.6 and 2.6 starts, respectively. You're welcome. I came back to say that I usually prefer to just listen to either the Broadway OC recording, or the New York City Opera "opera house" version. Now I am troubled by the three faceless white gentlemen, who seem to have no place in any sane construction of Puccini's gorgeous romantic extravaganza. I suppose they are supposed to represent the shades of Magda's previous lovers: subtlety of the slam-dunk-gotcha! variety. They look horribly obtrusive, but oh it sounds wonderful. Has anyone seen it all the way through? Did it make you weep real tears? Or did the white gentlemen drive you suicidal? Or could you live with them? 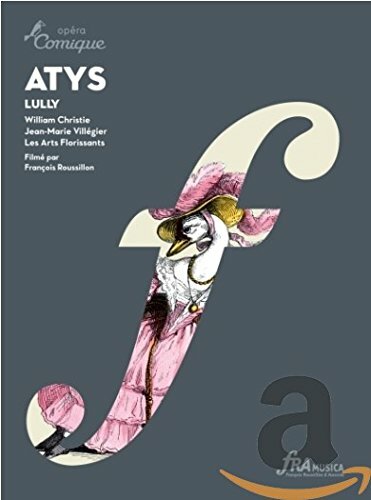 Could you please recommend me some of your favourite opera Blurays/DVDs? 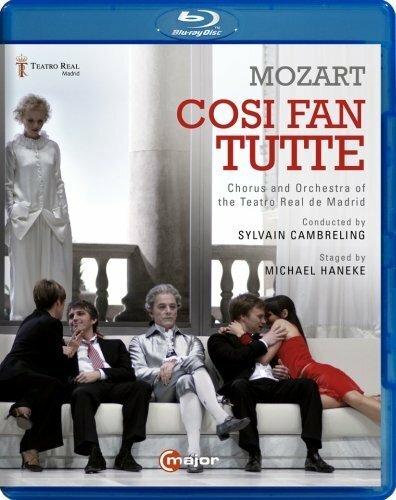 I haven't been following very closely especially more recent releases, but the one I really did like was Michael Haneke directed Cosi Fan Tutte from Madrid. Most of my favorite operas on DVD are baroque, don't know if you are interested in that? 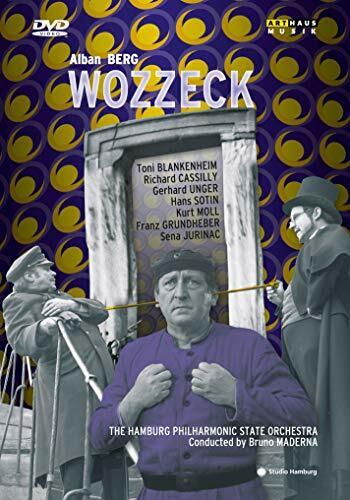 Possibly the single most influential opera production preserved on video. It's not traditional, but 40 years on, it's achieved classic status, while still appearing fresh. 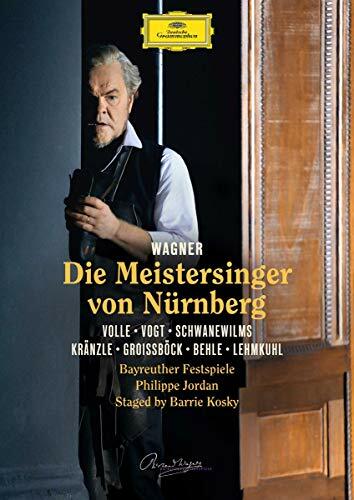 The current Bayreuth production of Die Meistersinger is a musical and theatrical feast. 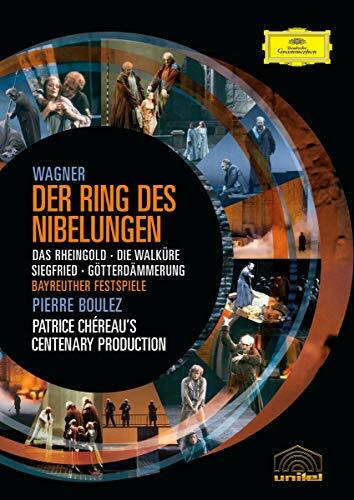 yes, it does reuqire previous knowledge of the opera and of Wagner's life and entourage, but that extra effort is well worth it. Not a stage production as such, but a made for TV filming of the opera. Still, musically and dramatically a very eloquent presentation of this masterpiece. I'm very interested indeed, much of my other listening (such as it is with work and children) is baroque, including vocal music like Bach's and Händel's cantatas and oratorios. Thank you for your Così recommendation, luck seems to have it that C-Major is on sale on Presto, I'll put it in my wish list. 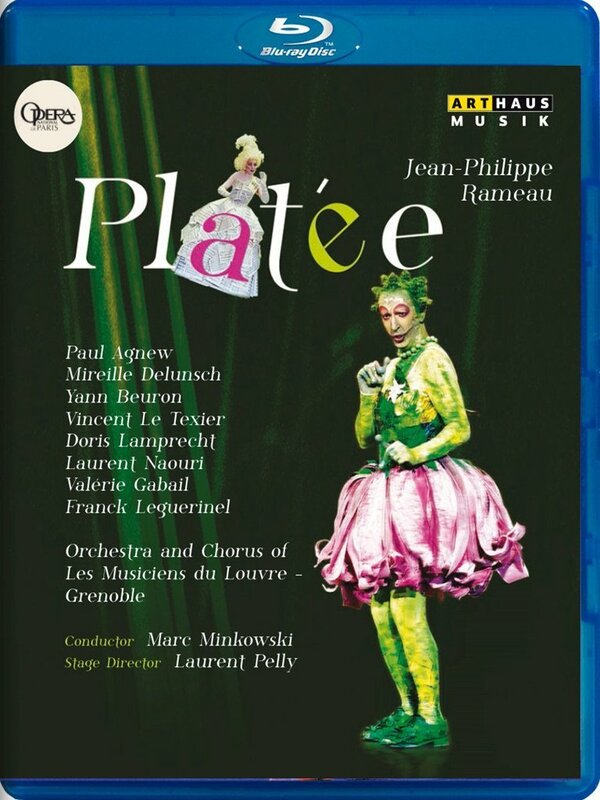 Rameau's Platee conducted by Minkowski is one of the most delightful opera productions I ever saw, I think even children would love it. 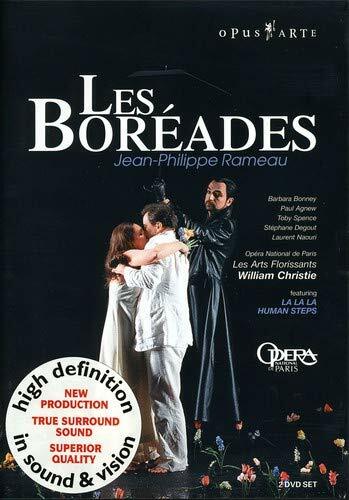 Another Rameau I love is Robert Carsen's production of Les Boreades conducted by William Christie. There is relatively cheap box of Rameau's 5 operas (Les Boreades included) on Presto, which is recommendable but I'm not sure if you'd want all that Rameau at once. 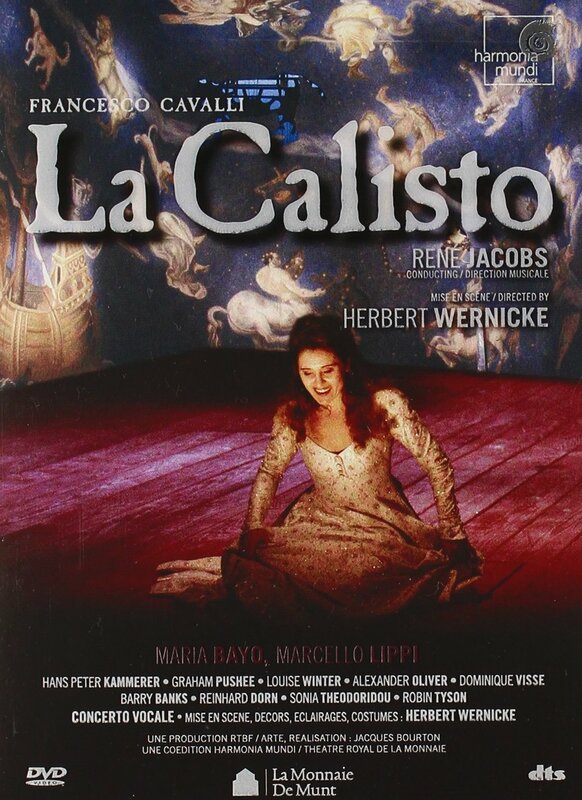 My absolute favorite opera on DVD is Cavalli's La Calisto, Ovid by the way of Commedia dell' Arte, with Maria Bayo conducted by Rene Jacobs. Unfortunately it seems out of print. 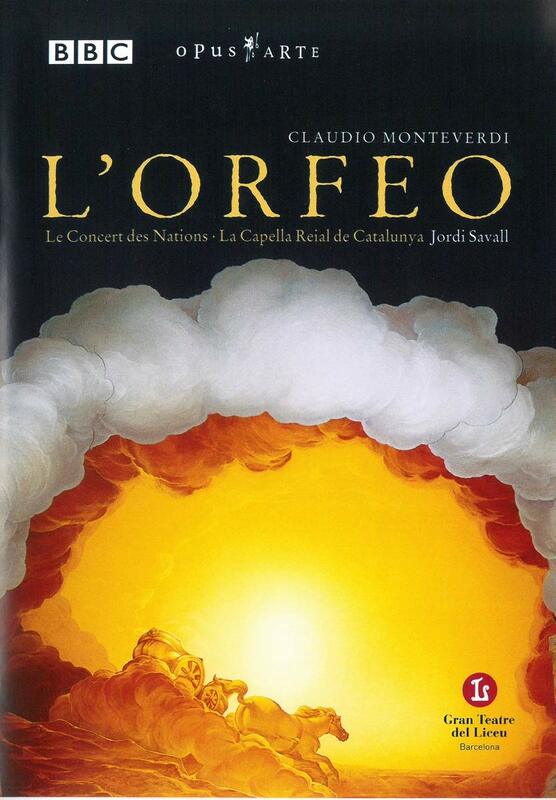 Of Monteverdi I like Savall's L'Orfeo and Christie's Poppea. I'm not much familiar with Handel and Vivaldi operas but Handel's Giulio Cesare is pretty much universally beloved. Most of these are new ground for me, I haven't listened that much to French baroque before, it'll be interesting. Of course the Jacobs would be out of print... :-/ his Mozart operas are some of the few operas I've enjoyed before on CD. Thanks a lot for a your recommendations! 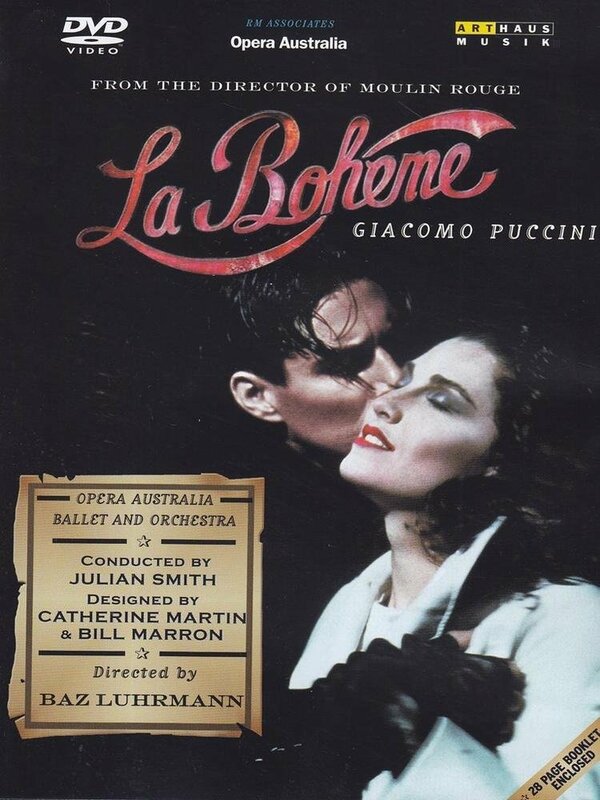 One of my favourite opera DVDs is this Baz Luhrmann directed version of La Boheme. These are not the best singers you'll ever hear in the roles, but they all have youth and good acting skills on their sides, and I rather like the updating to the 1950s. It works pretty well, I think. You might also want to take a look at two giants of the opera world acting and reacting together. 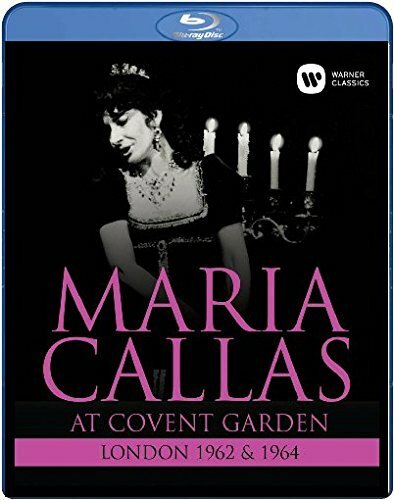 Callas was vocally past her best when this was recorded (1964), but she is still absolutely riveting and she and Gobbi had a symbiotic relationship which is well captured in this old black and white film (what a tragedy that they didn't tape the whole opera). Back in the day, I used to work at the English National Opera shop. Next to the main shop, we had a smaller unit solely dedicated to video (no DVDs back then), where we would have productions playing on the TV sets. If we played this video before a performance the tiny shop would fill up with people glued to the TV screens, not able to tear themselves away until the very last minute. Thanks you very much for your personal recommendations, Tsaraslondon, both seem very interesting. 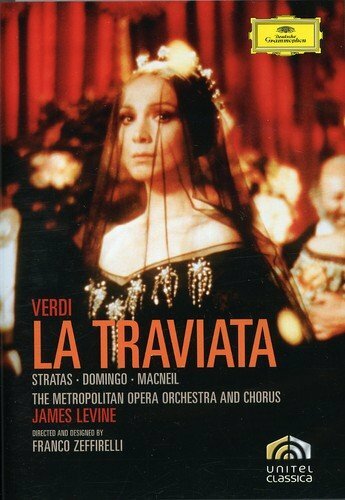 I've always really liked the Zeffirelli film of La Traviata. Stratas isn't quite up to the demands of the first act vocally, but she is a most affecting Violetta otherwise. 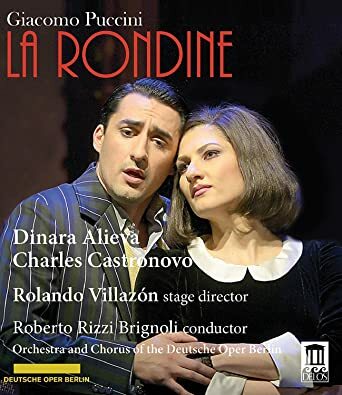 For a stage production, I always liked a La Scala production, conducted by Muti with Tiziana Fabriccini as Violetta, but I don't think that's available anymore. 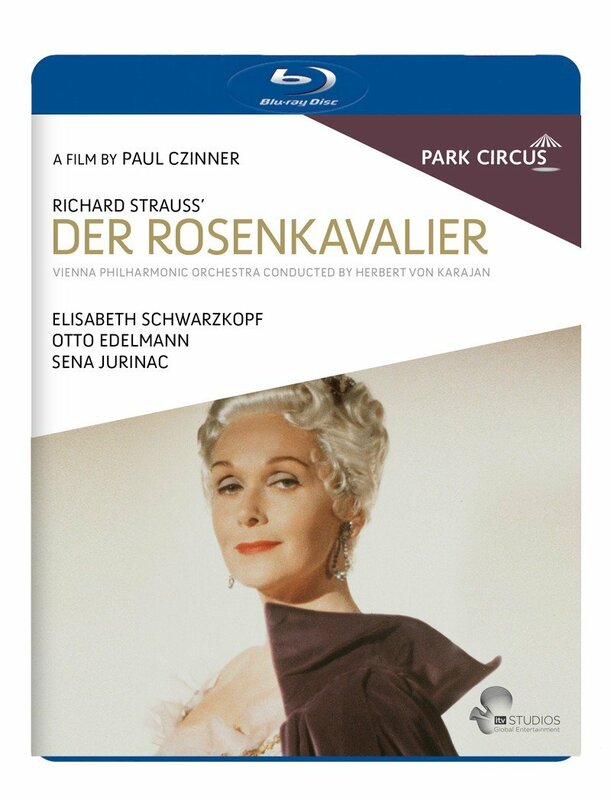 Another film is of a stage production and that is the old Paul Czinner film of Der Rosenkavalier with Elisabeth Schwarzkopf as the Marschallin. Very traditional production and some might find it dated, but t's a classic and I love it. It looks splendid in this most recent digital re-master, but beware there are old DVDs around which just look very bad VHS tapes. Another film is of a stage production and that is the old Paul Czinner film of Der Rosenkavalier with Elisabeth Schwarzkopf as the Marschallin. Very traditional production and some might find it dated, but it's a classic and I love it. Having seen a couple of non-traditional productions, I want my Rosenkavalier "dated". 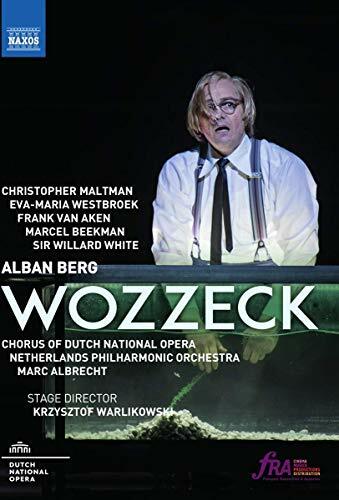 Yesterday, a first viewing of Warlikowski's 2017 Dutch National Opera production of Wozzeck, conducted by Marc Albrecht, with Christopher Maltman, Eva-Maria Westbroek, and Willard White. I don't "get" all of it, but I liked it a lot, certainly more than the William Kentridge Salzburg Festival production that's headed to the Met next season.